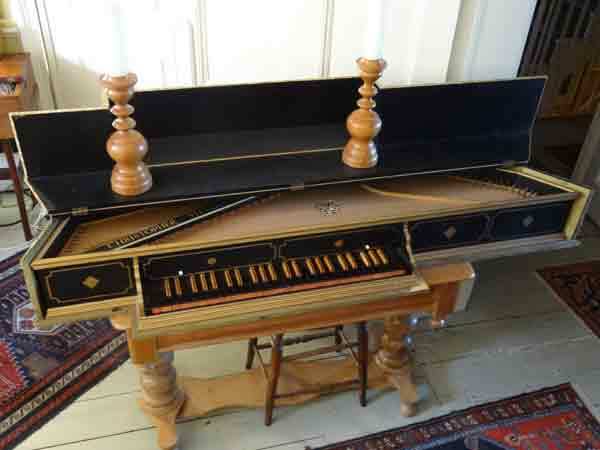 The instruments in the Collection include a clavichord by Christopher Stevens of Ifield made in 1971 and based on an anonymous clavichord in the St Cecilia Collection in Edinburgh and a clavichord by Nick Plumley and John Storrs constructed in 1994. 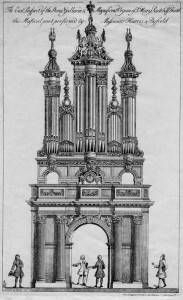 The pair of virginals by Christopher Stevens, commissioned in 1975 is a copy of the polygonal late 16th century so-called ‘Queen Elizabeth virginals’ in the Victoria and Albert Museum. 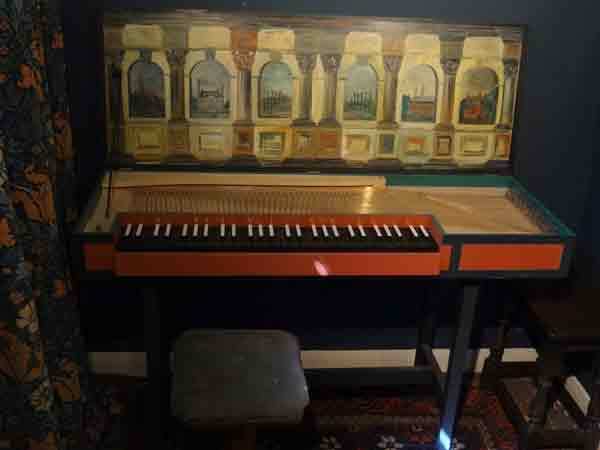 There is also a harpsichord by Nick Plumley, and John Storrs made in 1982 and decorated in the Flemish style by Nick Plumley. 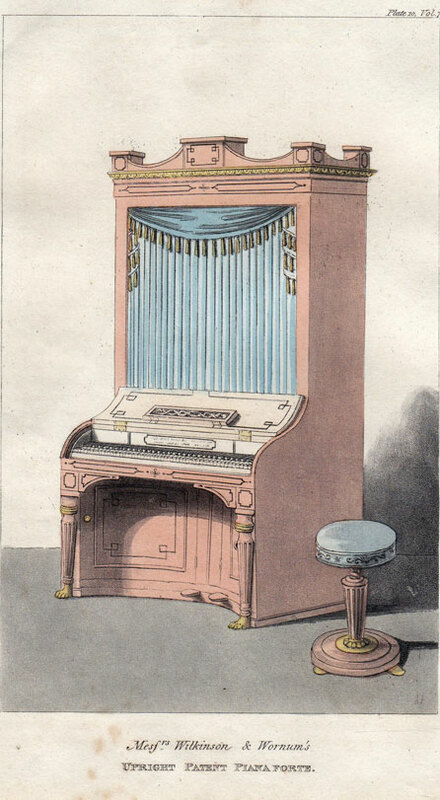 Engraving of an upright piano c1815. 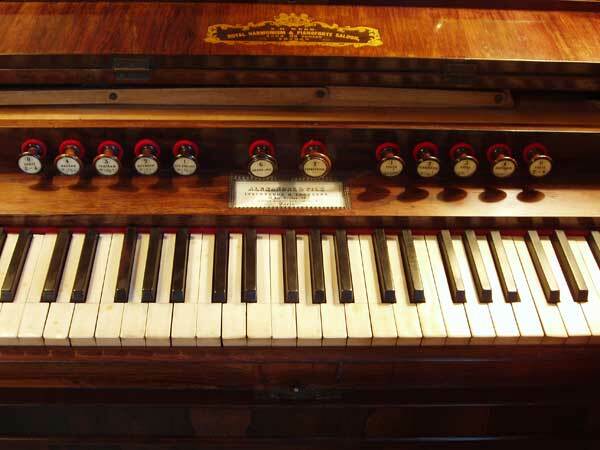 There are three pipe organs: a chamber organ by Messrs Flight & Robson of London c1825, with a very fine mahogany case and bought in 1980 in Lincolnshire; a chamber organ by an unknown maker with integral pedalboard from around 1860 and a two-manual house organ by Gebr. van Vulpen of Utrecht, dated at about 1973, once the property of a former Prime Minister of the Netherlands, purchased by us in 2003. 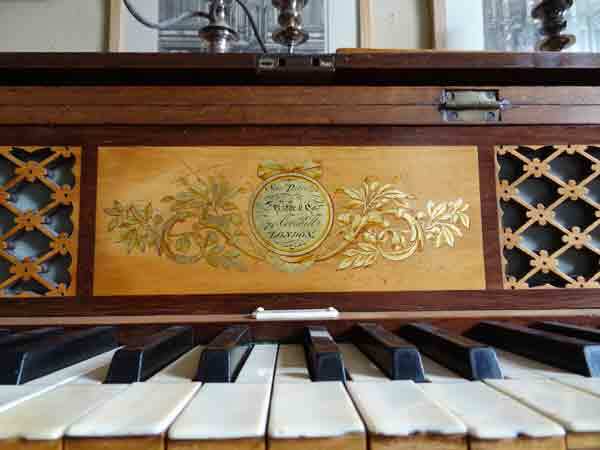 There are also two early harmoniums, one by Alexandre et Fils of Paris, c1840, and another by Joseph Wallis of London, c1860. 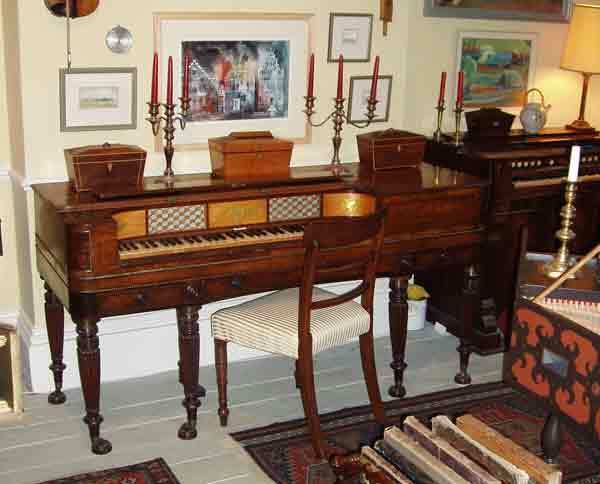 We also have four square pianos. 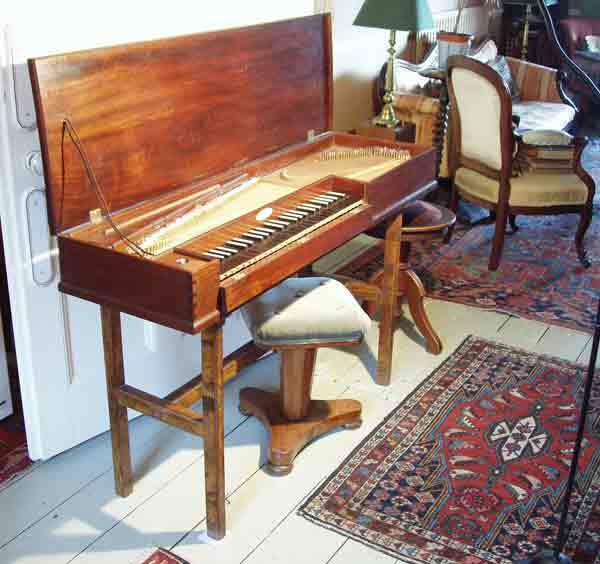 The oldest is by Johannes Pohlman of London, built as early as 1776 – an ideal instrument for playing Haydn and Mozart. 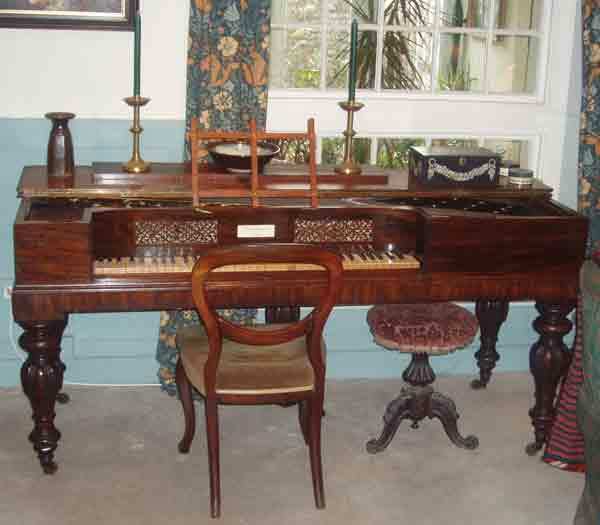 The very elegant piano by John Longman & Co was made around 1803. and that by Astor & Co was built about ten years later. 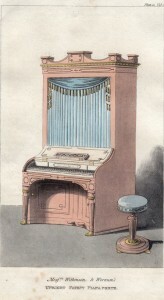 The square piano by William Stodart and Son is the youngest of the group and may be dated at about 1837 – very suitable for Mendelssohn and Chopin. 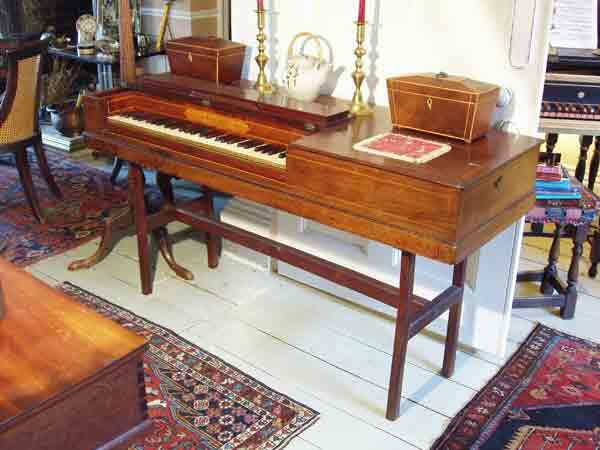 We also have a grand piano by Messrs Collard and Collard of 1854. 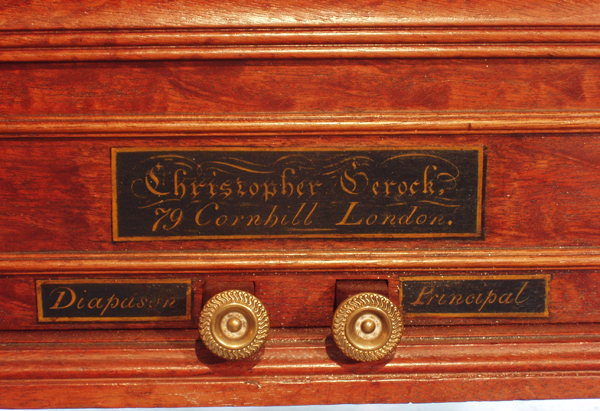 Whilst not a keyboard instrument as such, there is a small domestic barrel organ by Christopher Gerock of London of about 1830 in the Collection, together with two most attractive but empty barrel organ cases dating from the late eighteenth century, one being by John Pistor. 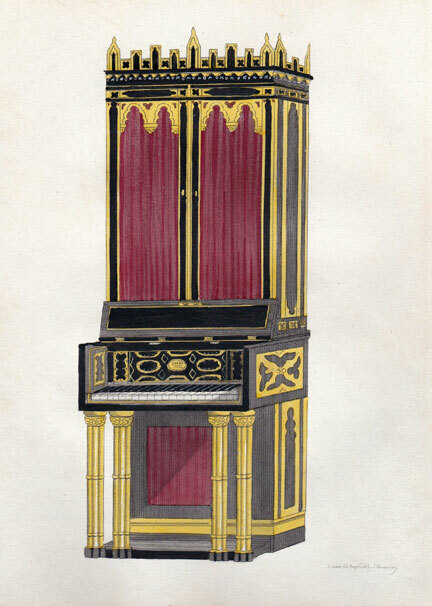 There is also a small library of books devoted to historic pipe organs, as well as a number of engravings depicting historic organs and early keyboard instruments. 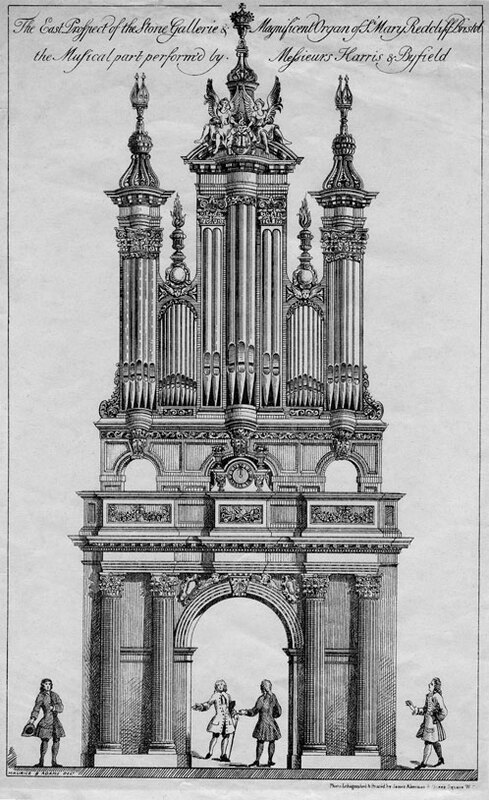 Visits and arrangements for study may be made by emailing us on art@plumleyheritage.co.uk.